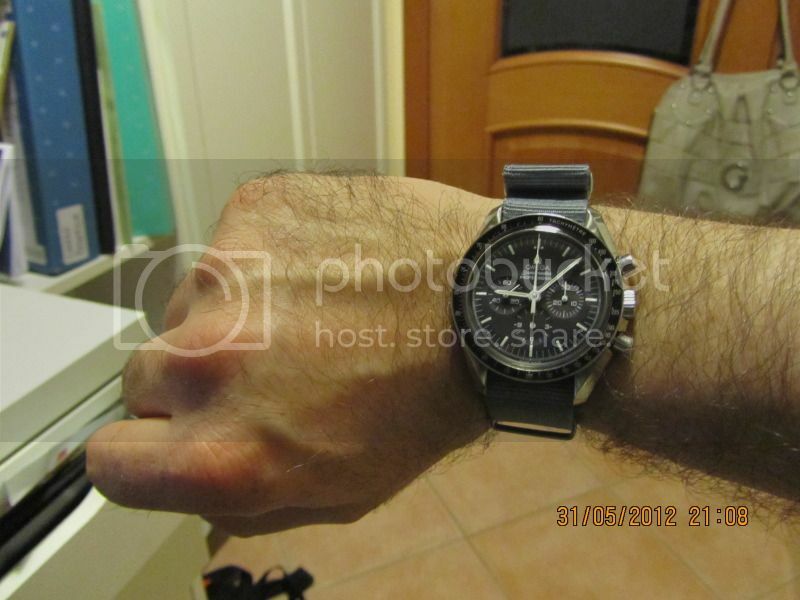 My new Speedy!!!!! Love it!!!!! kxk and cramd like this. Come on guys, post pics of your Gold Speedys!! Please !! My first post here, and my first Omega. I am so happy with this watch. I can't stop looking at it. kjse7en, nrbatista and Stargazer1 like this. It looks great with that strap. Glad to join the club! I have never really been a "watch" guy. About a year ago, when searching for a 30th birthday present for myself, I gave long thought to a nice watch - but also a nice watch that I could wear every day without too much fear of it being damaged, scratched or stop working. 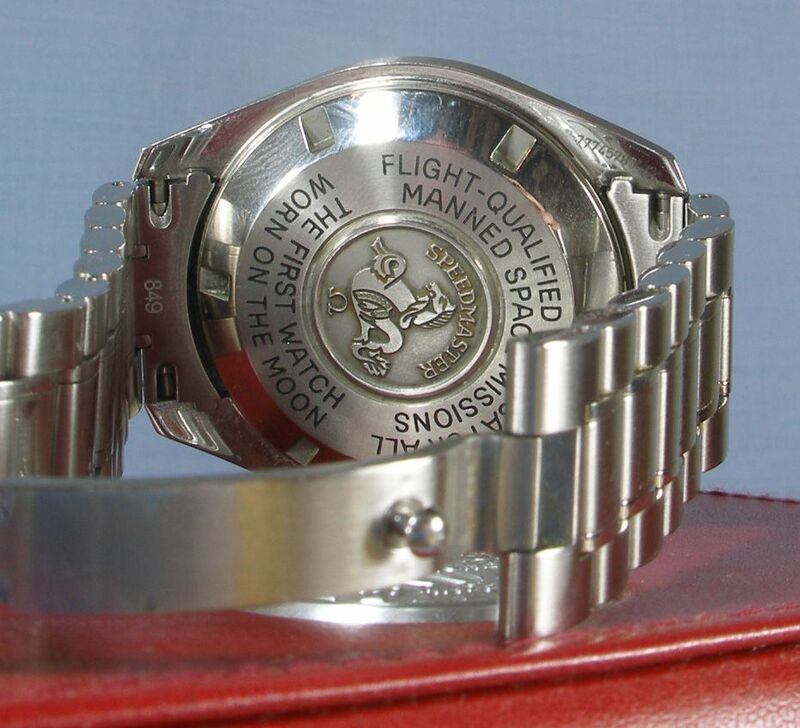 I settled without too much trouble on the Speedmaster - I am an Aerospace Engineer and the history, pedigree and construction of this particular watch very much appealed to me. The decision was made, and down I went to my local reputable jewler to make the purchase of a brand new Speedy. 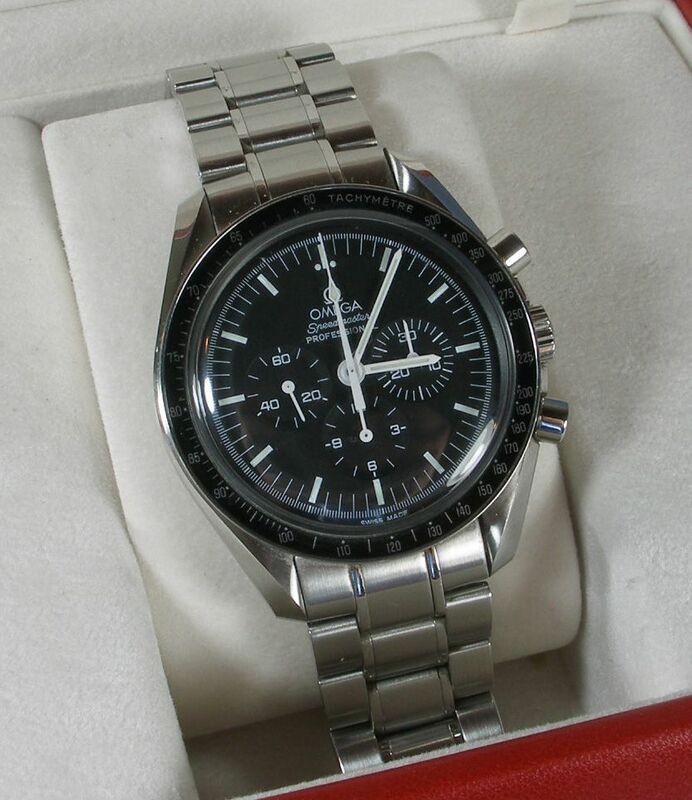 Here is my Speedmaster. It's just a "stock" standard model, nothing special, but it is a special one for me. Apologies for the average photography - this is my first time photographing watches! 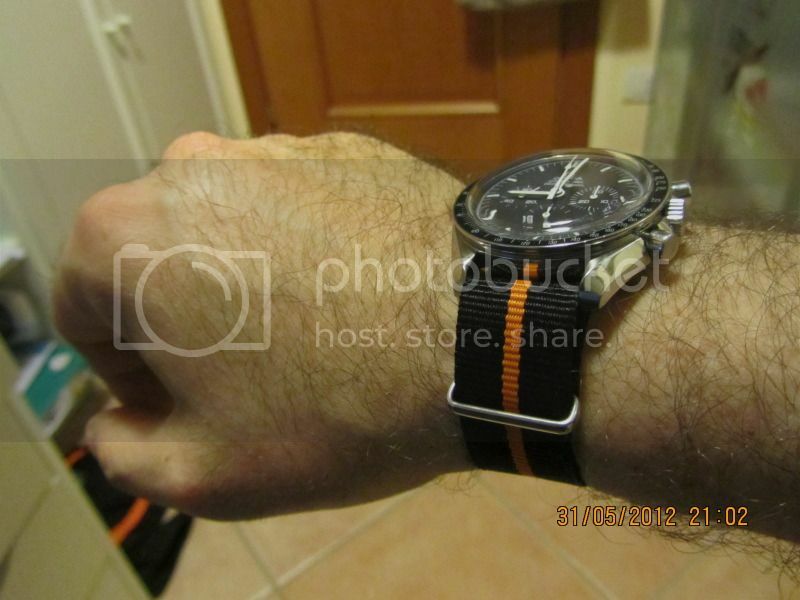 Oh, and you will note some wear and tear - like I said, I wear this watch everyday (and love it to death). 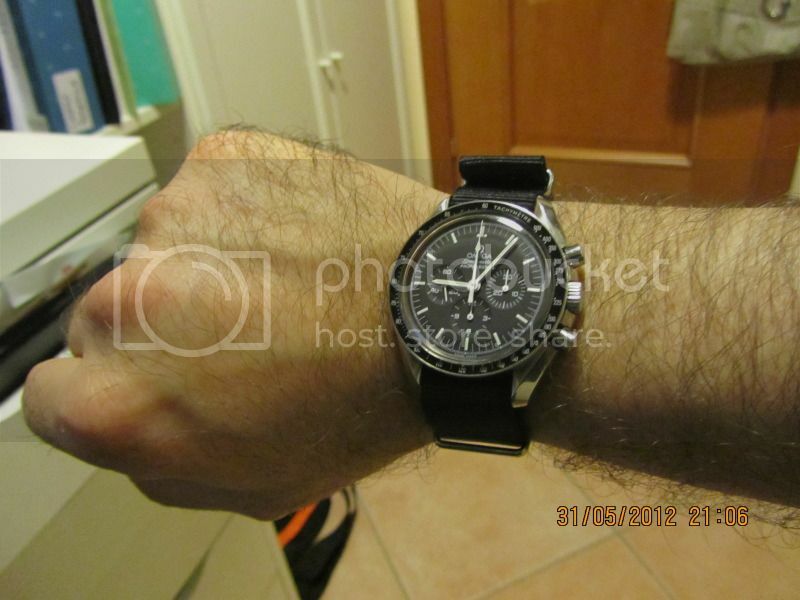 I have found that I have now also become interested in some of the older model Omegas from the 50s / 60s (Seamaster, Constellation, Cosmic etc) as these seem quite elegant and relatively cheap (relative to the cost of a new watch, that is). I have my first 60s era Connie and a 50s era Speedmaster on the way as we speak, and I am hoping to use this fine forum to help educate myself before making some more purchases. I think this watch thing may be contagious! calvincc, Stargazer1, nolefan and 2 others like this. BC, yes, contagious as it always has! And congratulations on your new fond love, nice piece and great choice! !